Will you be travelling this month? 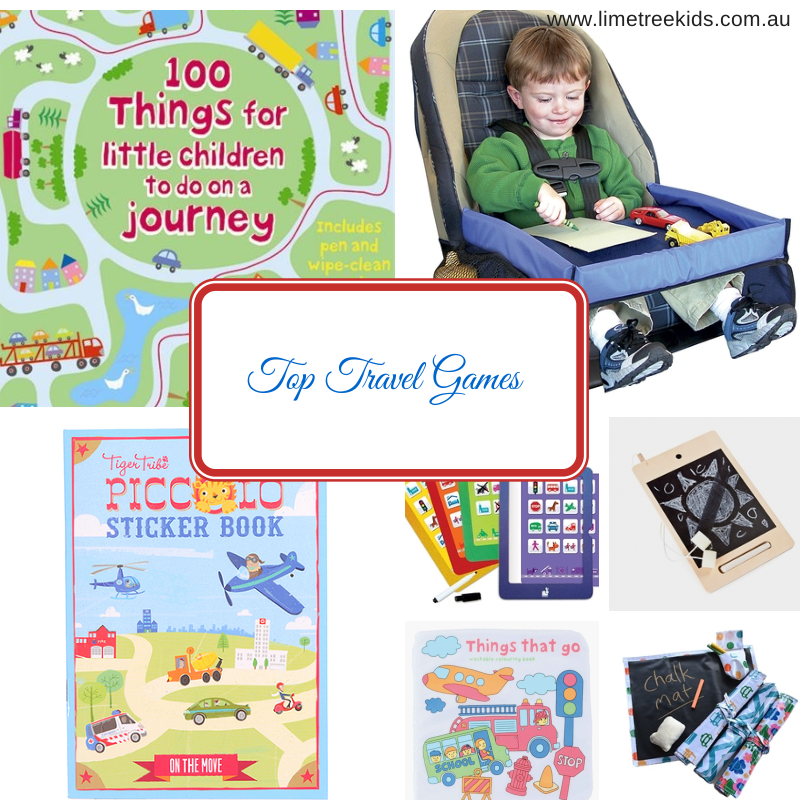 If so, you’ll love our handpicked collection of the 7 best travel games for everyone on board! From puzzles to magnetic toys to colouring and sticker kits, we have something for everyone, ready to go! Buckle up, for a fun ride, indeed! Piccolo Sticker Book- On the Move- These lovely fun-filled sticker books from Tiger Tribe’s Piccolo range are a must for every mum’s travel tote! Full of fun activities, designed to keep little ones happy and engaged while on the go! Each Piccolo Sticker Book contains over 50 reusable stickers and 8 pages of scenes to decorate. Bring them out when you’re tired of playing “I Spy” for the billionth time! Travel Bingo- Bring on Bingo!! This super fun travel game from Janod includes 4 support aids that hold one of the 6 picture cards. Each player has an erasable pen that is used to cross off each picture that is found. The first player to find all of the pictures on their card, wins. For 1 to 4 players, it is a fantastic game to take along travelling or even when you are just out and about. 100 Things for Little Children to Do On a Journey Cards-This brightly coloured and super-fun, reusable set of 50 double-sided glossy cards are filled with 100 activities, games and interesting things for your kids to do. The set includes a special pen to be used to complete the activities on the cards which you, then simply wipe clean and use over and over again. Activities include Garden Maze, drawing, puzzles, Fishing Fun, Not Just a Cloud and many more. Petit Collage Memory Game- All Aboard Perfect for two or more kids to play while on the go, this pretty and easy-to-play memory game will keep kiddies engaged while the miles fly past! Travel Chalk Mats - These are perfect for anytime play and when the kiddies don’t really want to “play” anything. Great for having them draw what they see around them as they zip through and fly across the skies! Washable Colouring Book-Things That Go -Colouring books that can be reused and are made of cloth! Seriously awesome for anytime play but especially great for travel time! The books even come with markers that can be stored in a handy pocket in the book itself!! iWood Wooden Chalkboard Tablet- Want tech-free travel but the kids still want a tablet? Hand them their iWood! A fun and creative wooden chalkboard tablet perfect for pretend play, creativity and all sorts of fun when on the road! This is a sanity saver for road trips and will make it super simple for your li’l ones to play all the want to and have their own space without squabbling over things. Bliss!! Travel can be fun and fuss-free when you have the right entertainment for the little campers! Happy travels! !